J.H. 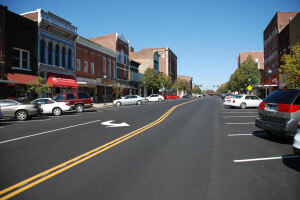 Rudolph and Co., Inc. announced today that the Jasper City Streets Paving Project that included Wernsing, Skyview, Division, S. Truman and E. 6th Streets and Henderson Water Utilities Project, including Main, 1st, 3rd, Elm and Water Streets, both won 2012 Quality in Construction Awards for excellence in construction of an asphalt pavement from the National Asphalt Pavement Association (NAPA). NAPA presented the awards to J.H. Rudolph & Co., Inc. in Mid-February during the organization’s 58th Annual Meeting in Scottsdale, Arizona. The Quality in Construction Award recognizes asphalt pavements of excellence that “demonstrate the type of high quality work J.H. 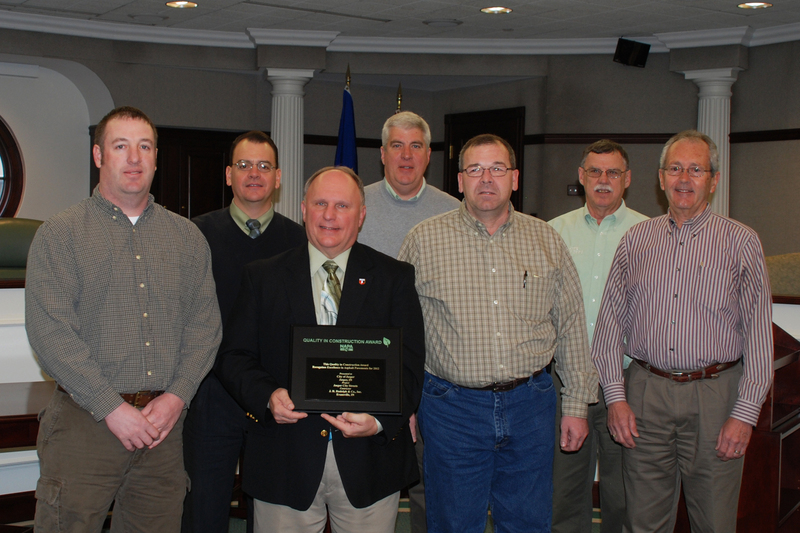 Rudolph & Co., Inc. is achieving”, stated Kurt Bechthold, 2012 Chairman of the NAPA Board of Directors, during the award presentation. J.H. Rudolph & Co., Inc. used asphalt mixes on the Jasper City Streets Project that contained 35 percent reclaimed asphalt pavement, which in turn saved money and also reduced the need for virgin aggregate and binder for the project. Working under heavy traffic, J.H. Rudolph & Co., Inc. produced high-quality asphalt pavements with minimal disruption to the public. In Henderson, J.H. Rudolph & Co., Inc. won the award for the mill and overlay of roads in Downtown Henderson in conjunction with the water and sewer work undertaken by the Henderson Water Utility. Working at night to avoid disrupting traffic, J.H. Rudolph & Co., Inc. milled off the old pavement, repaired and leveled the road as needed, raised manholes to the proper level and placed 1-inch overlay on the roads. The completed roads have an excellent appearance and a smooth, high-quality riding surface. “We are very pleased that our partnerships with the City of Jasper and Henderson Water Utilities on these projects resulted in recognition at a national level. It is our goal to deliver this same caliber of high-quality to every project we complete so the travelling public can experience it on the roads we pave,” commented Jeff Mulzer, President of J.H. Rudolph & Co., Inc.
You are currently browsing the J.H. Rudolph and Co., Inc. blog archives for March, 2013.